A cream that protects the skin and maintains epidermal comfort. It coats and softens stubble, ensuring a close, comfortable shave. For optimum use: Dampen the face with warm water. Smooth a small amount of cream over stubble. Work up a lather by massaging or by using a shaving brush moistened with warm water to obtain a creamy foam. 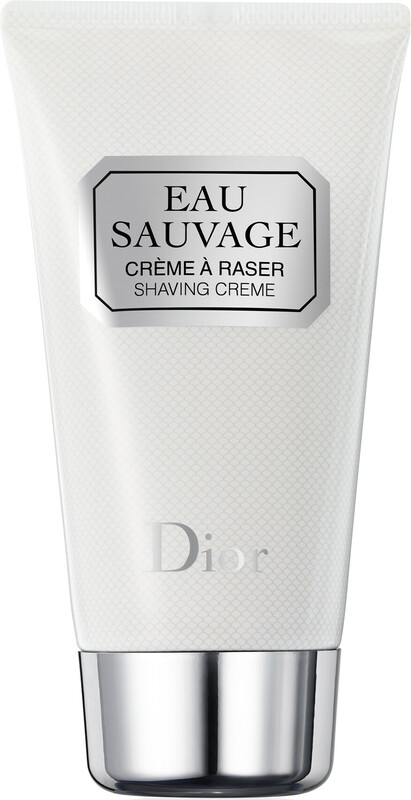 DIOR Eau Sauvage Shaving Cream 150g is rated 5.0 out of 5 by 2. Rated 5 out of 5 by Newyear from Charmingly Dior This tube of Eau Sauvage is full of old world charm. Squeezing the shaving cream into the palm of your hand and then working it into a light lather on your face does take marginally longer, than using shaving foam, but the shave is closer using the cream and feels much more precise. The fragrance is not too intense but is the perfect base for using either the Eau Sauvage balm or aftershave.Resulting in contentment. Rated 5 out of 5 by heavenlyal from Stop You Man Whinging About Shaving! If your man whinges about shaving, then buy him this. It allows for a brilliant moisturised shave, with the the added benefit of layering their Eau Savage products. An all round excellent product - thoroughly recommended - and it stops the moaning!